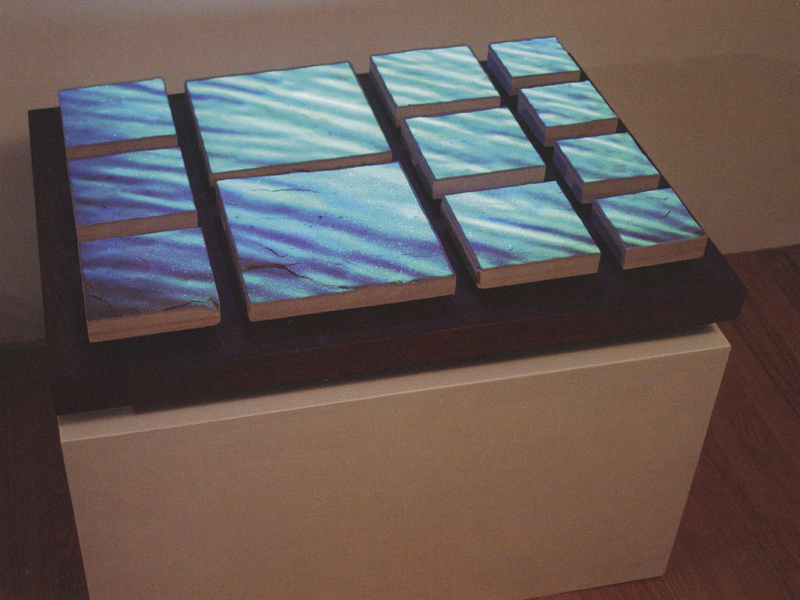 S[tr]eam is a video art installation that straddles the boundaries between video projection and sculptural object. The project examines the capability of the digital to enhance or confuse the human perceptual experience of the environment. The mind’s capacity for learning, pattern grouping, and reification enable swift perceptual comprehension. At the same time, the increasing pervasiveness of the digital redefines how we perceive and interact with the world around us. Digital media can combine virtual and physical space, presenting new and unique perceptual challenges. The virtual has the potential to extend or reinvent the physical, but it can reorganize and even fracture perception. S[tr]eam integrates organic phenomena with formalist approaches to explore fragmentation and fluidity, and to challenge our notions of logical and natural boundaries. S[tr]eam also explores the tensions and harmonies between the digital projection and the physical sculpture.